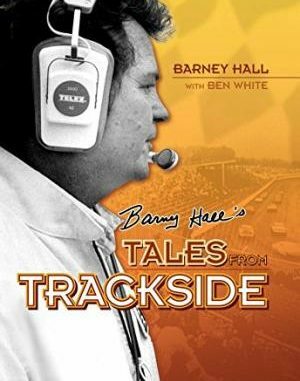 Barney Hall has been covering NASCAR racing since 1958. He was working in turn-three and had a birds-eye view of the finish between Cale Yarborough and Donnie Allison when they had the fistfight at Daytona in 1979. He was close friends with David Pearson in the ´70s and spent a lot of time flying with him. He also witnessed the unforgettable ´76 Daytona finish between Richard Petty and Pearson. 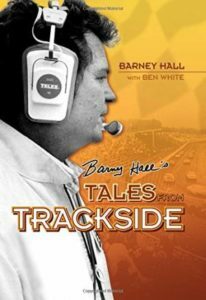 In Barney Hall´s Tales from the Trackside, he reflects on many memorable stories, including Bill Elliott winning the Winston Million in 1985. At that time, it was unheard of for a stock car driver to win a million dollars. Barney Hall is the co-anchor of MRN Radio´s NASCAR broadcasts. He is one of the network´s original announcers and got into motorsports announcing by “dumb luck” in 1960 when the Bristol Motor Speedway needed a public address announcer. At the time he was working at a western North Carolina radio station. Ben White has worked as senior editor at NASCAR Scene since 1997. He has won numerous awards from the National Motorsports Press Association and has penned many books on NASCAR racing.